Ever heard of RateMyProfessors? Well, that’s a shame! This MTV-owned online project has been around for almost two decades now. The website provides students with an opportunity to rate their professors on a bunch of characteristics - both professional and personal. For instance, you can rate a professor by quality, difficulty, or other criteria like "amazing lectures" or "beware of pop quizzes." Still, there is one particular criterion which has long been causing quite a stir in the professor society - "hotness" indicated by a red chili pepper icon. It’s no secret, RateMyProfessors even had lists of the "hottest professors" across the country published each academic year in the period between 2009 and 2017. 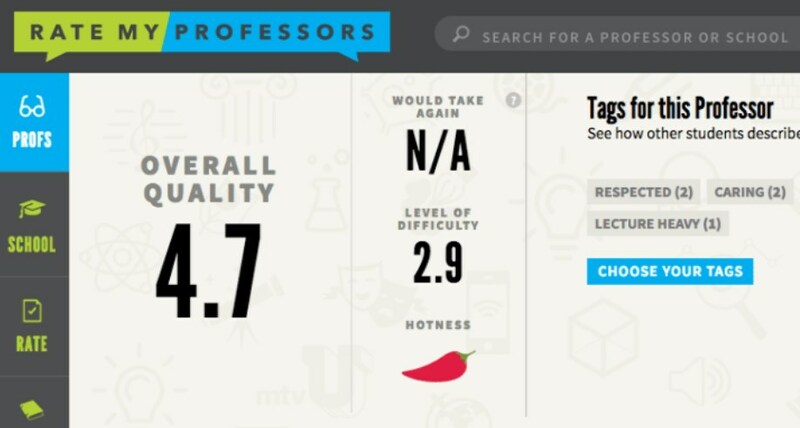 This time, ratemyprofessors.com caused quite a stir by dropping the "hotness" rating right after one of the college professors complained it was sexist! Last Tuesday, June 26, BethAnn McLaughlin, a neurology professor at Vanderbilt University, took to Twitter saying @ratemyprofessor should “remove the long-standing feature.” The Typical Student team followed the story to learn the details. "I would prefer my student respect my brain than my hotness"
Why Is RateMyProfessors Rating Sexist? The “hotness” rating didn’t sit well with professor McLaughlin, who wasn’t however listed on the site. She explained her willingness to take the rating down with the fact that many of her female colleagues have been negatively affected by it. McLaughlin made a point saying that rated teachers are “often targets of comments about how they look and how they dress, and it undermines their credibility." Turns out, not only female professors are feeling uncomfortable due to the rating. According to McLaughlin, some male professors have also voiced their uncomfortable experiences due to the “hotness” rating. In the age of the #MeToo an #TimesUp movements, such deprecating ratings must be eliminated. After the story got serious media coverage, Rate My Professors representatives confirmed that "all chili pepper references" had been removed from the site. Although the company tweeted that the rating is "meant to reflect a dynamic/exciting teaching style," many of @ratemyprofessor tweets suggest it’s based on looks, not teaching skills.